The Ortega R190 is part of Ortega's Traditional series and is hand crafted in Spain. 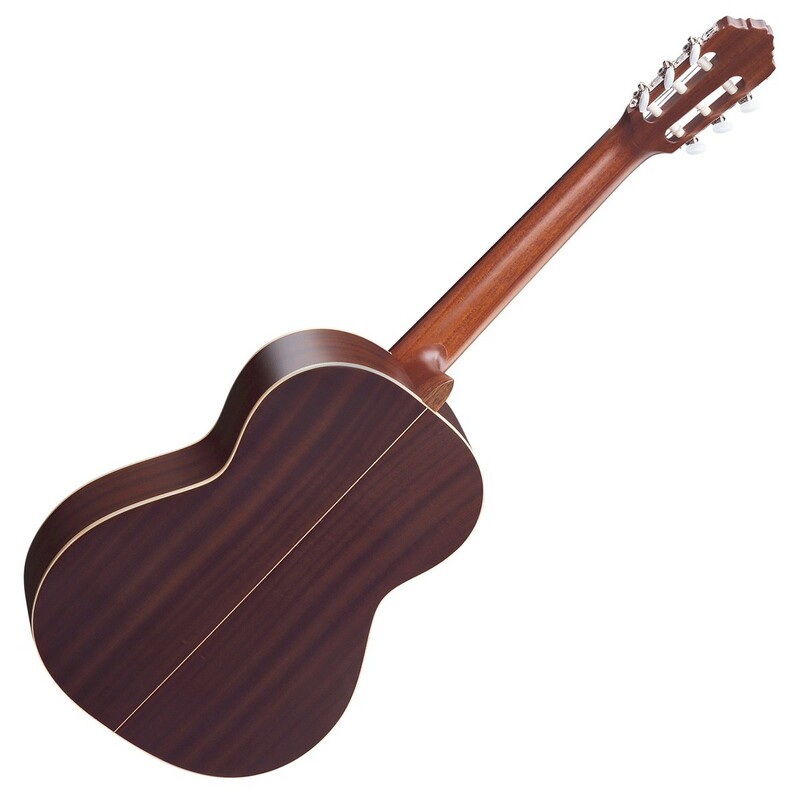 Featuring a solid North American cedar top and caboa back and sides, the R190 pays homage to some of the oldest, most reputed Spanish classical guitar builders. 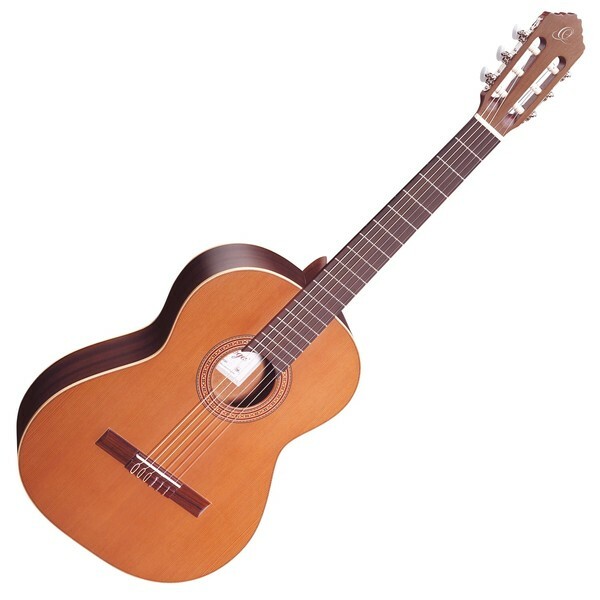 The Traditional series range of instruments deliver the authentic tone and feel that players have come to love from Spanish classical guitars. 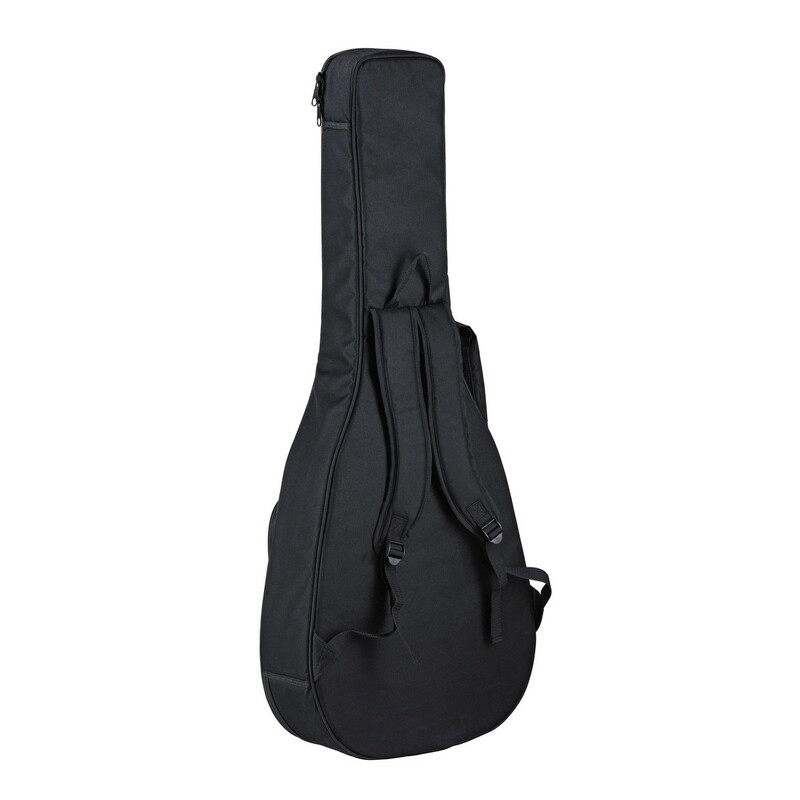 The included deluxe gig bag makes it easy to protect your instrument. The innovative 12 hole bridge featured on the Ortega R180 is usually reserved for instruments at higher price points. This fantastic system makes string changes both quick and easy, even for total beginners. By simply looping the string around the two holes provided for each string, the player can trap the end of the string in a noose, help in place by the string tension. This solves the challenging problem of tying knots in nylon strings without ball ends. 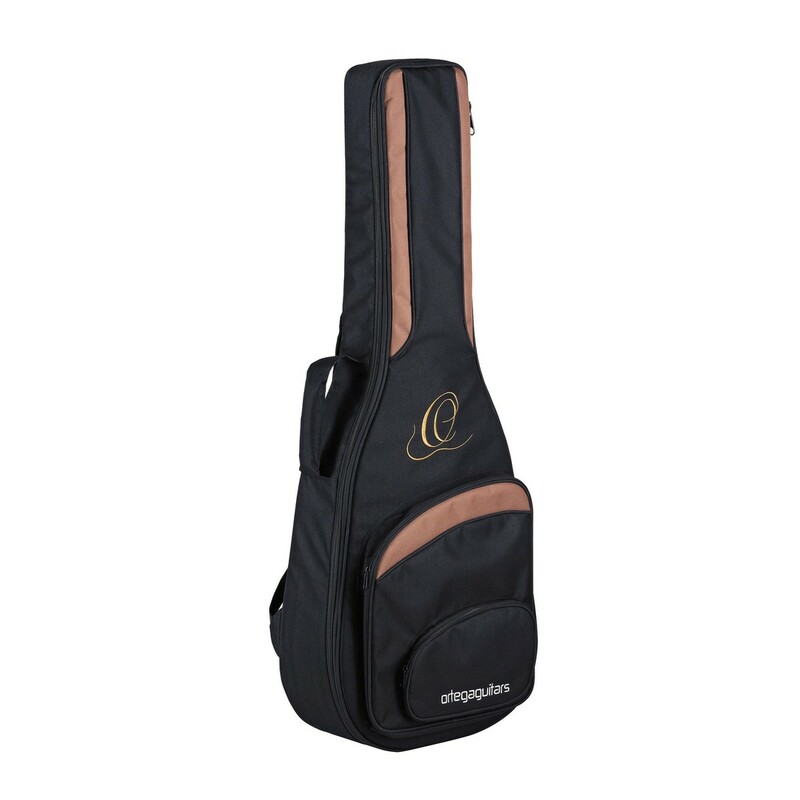 Ortega are committed to ensuring that the specifications of their instruments meet the wishes and requirements of music lovers all over the world. Regardless of whether you are a beginner, a budding star ready to hit the stage or have already "made it" to the top, the folk at Ortega are just like you; they love to get together to play instruments and have fun. Because of this, they understand your requirements and view them as a challenge. Experiencing enjoyment when playing an instrument is the best way to be creative. Many of their instruments were created this way, but there is one thing they shall never forget, and that is to listen to you, the people who share the love of making music. Happy playing!